For the 2013 Season, the Premium Fantasy Football Cheat Sheets will be provided FREE of charge. If you are interested in having the periodic updates e-mailed directly to you, simply send us a DONATION by clicking on the button at the left. Need Some Fantasy Draft Help? Try our 2013 PREMIUM Fantasy Football Cheatsheets Below, donate to the cause and we'll send updates to your e-mail! 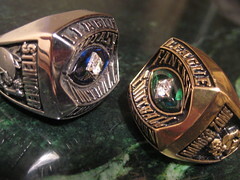 I've been playing fantasy football since 1995. When I began playing fantasy football, the internet was very new and fantasy football was not the juggernaut Sunday afternoon activity that it has become in recent years. I've watched as fantasy football injury reports, draft analysis, and fantasy sleepers have become commonplace on NFL pregame shows. Dominate your draft with my Cheat Sheet-See SAMPLE When I began playing, there were no free internet websites available to host your league or calculate fantasy matchups. NFL gameday statistics were not automatically downloaded and converted into fantasy points to be displayed on a fantasy football league website. organized and relaxed instead of being one of those guys crying "I need more time." We used the Monday and Tuesday editions of USA Today newspaper as our fantasy manifest ... it was expressly written in our fantasy football league bylaws that whatever was printed in USA Today was what we used for our fantasy football gameday statistics. Our commissioner would spend all day going through the stats in the newspaper and writing in the fantasy points by hand in a matchup table. It was definitely a time-consuming labor of love. From these humble beginnings, I grew as a highly successful fantasy football owner. I've won four fantasy football championships and have played in numerous leagues honing skills over the years that have led to the development of an extremely successful fantasy football draft system. The fantasy football draft is the key to building a championship calibre team and getting a good free fantasy football cheat sheet can be the key to building this year's contender. Below are a couple of my free 2010 Fantasy Football Cheatsheets. You might even look to Read Some Customer Testimonials from people who have used my 2012 Premium Cheatsheet Subscription in the past. I usually go into the draft war room with an overall player ranking cheat sheet and an NFL team depth chart when I sit down to draft my fantasy team and therefore I provide an updated set of cheat sheets to all of my subscribers that take you right through the start of the NFL Regular season. I knew what I was doing...thanks!" schedule) and I looked like a pro!" to prep so I am very thankful for these sheets." Copyright � 2006-2013 nflfootballstadiums.com. All Rights Reserved.